Application of engineering principles and techniques to the medical field is all about Biomedical engineering. It combines the design and problem solving skills of engineering with medical and biological sciences to improve healthcare diagnosis and treatment. Biomedical Engineering combines the thorough knowledge of the principles of both medicine and engineering. The biomedical engineers apply the concepts of biology, physics as well as chemistry to develop products and devices for diagnosis and treatment. The branch integrates Physical, Chemical, mathematical and computational sciences and engineering principles to study biology, medicine behaviour and health. So the biomedical engineers have to work closely in association with healthcare professionals like doctors, nurses, therapists and technicians. If you want to become a biomedical engineer, you have to do your Bachelor of Engineering in Biomedical Engineering offered at select institutes. Otherwise, you can do your BE in any of the branches like electrical Engineering offered at select institutes. Otherwise, you can do your BE in any of the branches like Electrical Engineering, Mechanical Engineering, Computer Engineering, Electronics Engineering or Chemical Engineering and a postgraduate course in Biomedical Engineering. Alternately, you can do your BE in any of the Engineering branches and go for a postgraduate course in Medical Technology, which is considered equivalent to a postgraduate course in Biomedical Engineering. You can also complete an MBBS degree and then opt for a postgraduate degree in Biomedical Engineering/ Medical Engineering/ Medical Technology. 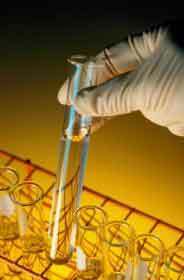 Knowledge of biological and medical technology and should be versatile. Administrative skills and computer literacy. Must be able to get along well with patients. Biomedical engineering is one of the tough career options. There are enormous opportunities in this field. They are employed in universities, in industry, in hospitals, in research faculties of educational and medical institutions, in teaching, and in government regulatory agencies. They can also get jobs with large hospitals for selecting, handling and maintaining sophisticated equipments in addition to building customized devices for special needs or work in institutions involved in research. There are a few government agencies where you can get recruited for product testing, safety and establishment safety standards for devices.